BioTE Medical provides bio-identical hormone subcutaneous pellet therapy to help balance hormones in both women and men. Unbalanced hormones occur naturally during the course of aging. Symptoms include those generally attributed to age like fatigue,moodiness, and sleep disturbance. Patients may also experience weight gain, loss of mental clarity and strength .Call today to get membership information and to schedule an appointment with Dr. Adamcik at Florida Anti-Aging Center in Satellite Beach. 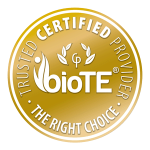 Is BioTE right for you? Fill out the appropriate questionnaire below, so that you can discuss your symptoms and what BioTE can do for you. Studies have shown that balanced hormones are necessary for good health and disease prevention for women and men as we age. BioTE® optimizes hormone levels with tiny pellets just under the skin. After hormone optimization, patients report back to their BioTE® trained practitioner, that it’s amazing something so small can make a huge difference in your life. The primary goal of BioTE Medical is to help optimize hormone levels of our patients. The mission of BioTE is to change healthcare and to help people age healthier and live happier. What is the goal of Hormone Optimization Therapy? Bio-identical Hormone Replacement Therapy, or BHRT, is a treatment for many common and debilitating symptoms that are often overlooked by doctors. Some of these symptoms include exhaustion, stress, foggy thinking, weight loss, sleep disturbances, and so much more. These ailments are treated by solving the root cause of these difficult conditions. Often, people with symptoms like these are suffering from hormonal imbalance. BHRT is a natural and simple method for correction of these complex issues. Within 7-10 days after your pellet insertion, Bio-identical Hormone Replacement Therapy (BHRT) begins to work. Once a pellet is inserted in the gluteal area, a consistent dose of bio-identical (naturally derived) hormones enter the bloodstream. Every BHRT pellet is created with patients' unique physiology in mind. Because of this, every treatment is tailored to the patient and will have the greatest possible success in helping them achieve balance. Furthermore, the pellets are derived from plants, not animals, which closely mimic the hormones naturally present within your body. Studies have shown that bio-identical hormone pellet therapy may offer you the most benefits. First, become a member of Florida Anti-Aging Center. Then, schedule an office visit with Dr. Adamcik to test your current hormone levels. Based on your comprehensive consultation and thorough blood work panel, Dr. Adamcik will determine if you are a candidate for BioTE pellet therapy. Then a quick follow up appointment will be scheduled for your unique pellet therapy insertion. What can I expect form BHRT pellet therapy? Each patient’s symptoms are unique and each patient’s paths to optimization is unique. Most patients report some symptom resolution in as little as two to four weeks, but full optimization may take up to 6 months. Your journey will be specialized to fit your specific needs. Just as it doesn’t take you 1-2 weeks to get out of balance, it doesn't resolve that quickly either. BioTE Medical only offers bio-identical hormone replacement therapy in the form of subcutaneous pellets and with over ¾ million insertions performed in the company’s history, we have seen many lives changed with optimized hormones. If any of the hormone imbalance symptoms mentioned above ring a bell for you, or remind you of someone you love, BioTE Medical encourages you to call Dr. Adamcik at Florida Anti-Aging Center in Satellite Beach today!